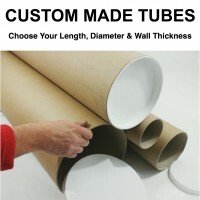 Cardboard tubes, fibre form tubes or tubular forms, as often referred to, can be used to form concrete into piers or pillars to act as support columns for numerous construction projects either commercially or for DIY projects around the home and garden. We have been supplying cardboard tubes to continental Europe where concrete is extensively used for many years. There they are utilised for producing aesthetically pleasing visible columns or for footings where they can play a valuable role in reducing labour on excavation and of course help in a cost reduction for each project. Increasingly in demand amongst UK construction companies we are able to supply our circular forms for concrete in a huge range of diameters as stock items - with other diameters supplied to order. They can also prove useful for fencing projects again with advantages of cost savings over other methods. Please ensure you have familiarised yourself with the buildings regulations pertaining to your jurisdiction or the country in which this product is to be used.